Stalking has officially reached an all-time low with the discovery this week of an iPhone app called ‘Girls Around Me‘, that allows users to find and contact women near them. 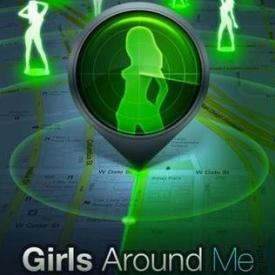 Developed by a Russian company called iFree in December 2011, ‘Girls Around Me’ accesses data from Foursquare, a social networking site that lets people check-in their current location using GPS. The app displays a radar button which, when pressed, searches for and pinpoints the location of various women in the surrounding vicinity onto Google Maps. If this wasn’t bad enough, it then offers users access to all available data about each woman by opening their Facebook page. Here, users are able to find out a woman’s full name, view all of her photographs, and finally, if they like what they see, send her a private message. Detected by members of the ‘Cult of Mac‘, it has since been rapidly given the title of ‘creepiest‘ app around. The less said about the app’s marketing allure the better. Described as the “perfect companion to any pick-up strategy”, its derogatory pitch has no end. “In the mood for love, or just after a one-night stand?” reads the caption. Somehow it seems doubtful that a woman will feel ‘swept off her feet’ by a complete stranger who freakishly knows everything about her. The app has highlighted major concerns over the safety and privacy of women who use Foursquare and other social networking sites. Although it may not appear too dissimilar from ordinary dating sites, the problem here is that most women are unaware that their details are so easily available. The app itself survives on the fact that many social network users don’t adjust their privacy settings after first signing up. As a result, many women fall victim to having their personal details and, in some cases, entire lives open to the public. Following its discovery, a spokesperson for Foursquare, Laura Covington, said that the app violated API (Application Programming Interface) policy. API allows user data to be shared across web pages between developers and businesses. However, there are strict protocols that prevent such data from being shared so openly in a public setting. “We’ve reached out to the developer and shut off their API access,” Covington said. Regardless of these measures, the app is still available for download at the iTunes store. Both Apple and Facebook remained unavailable for comment. Lesson to be learned: check your privacy settings, you don’t know who could be watching.